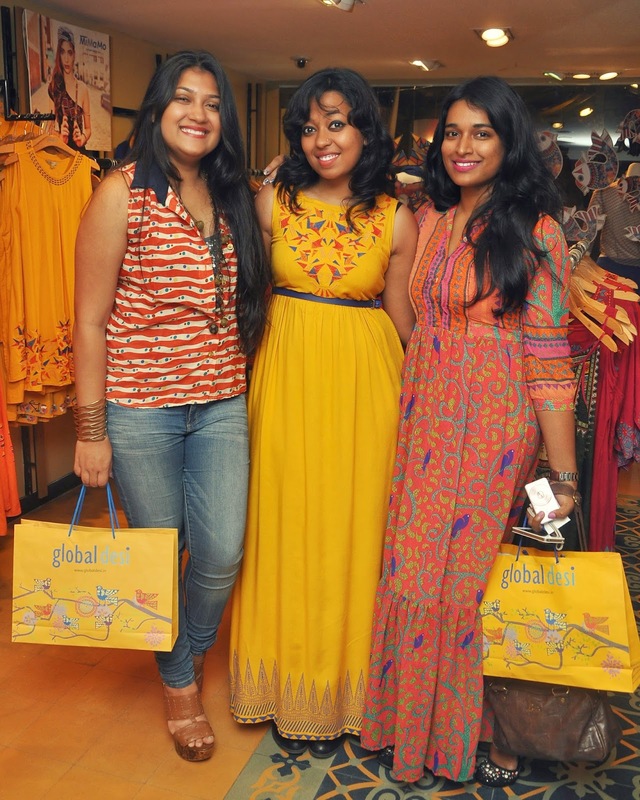 Global Desi , is a brand that cannot escape the cupbard of the Indian boho-chic girl. 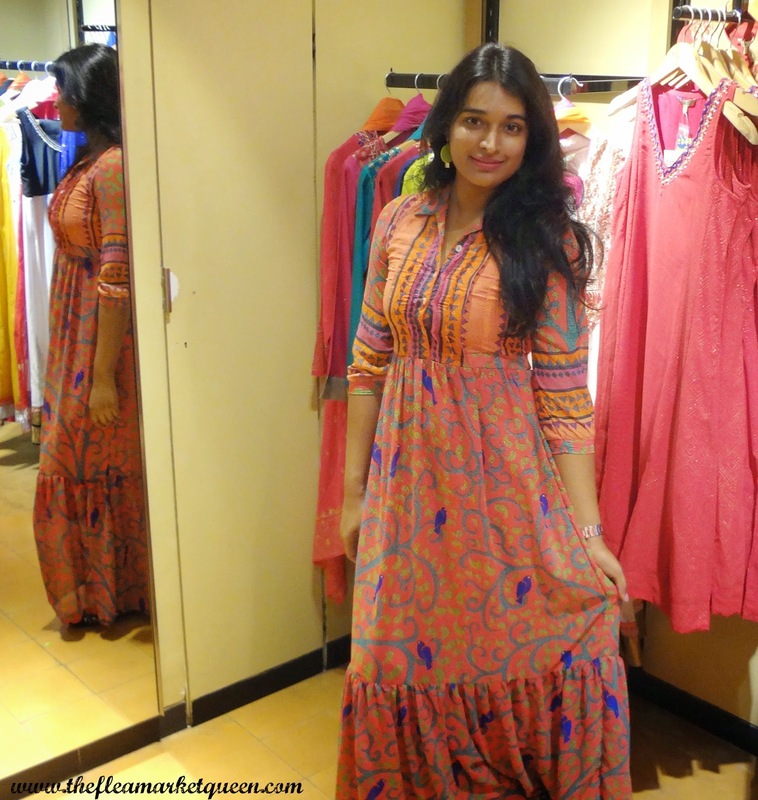 I especially love the brand for its affordable runway fashion made available to the masses. Global Desi has sizes suited to the Indian frame. So I luckily fit into an XS. Petite girls might need some tailoring to get fitted. 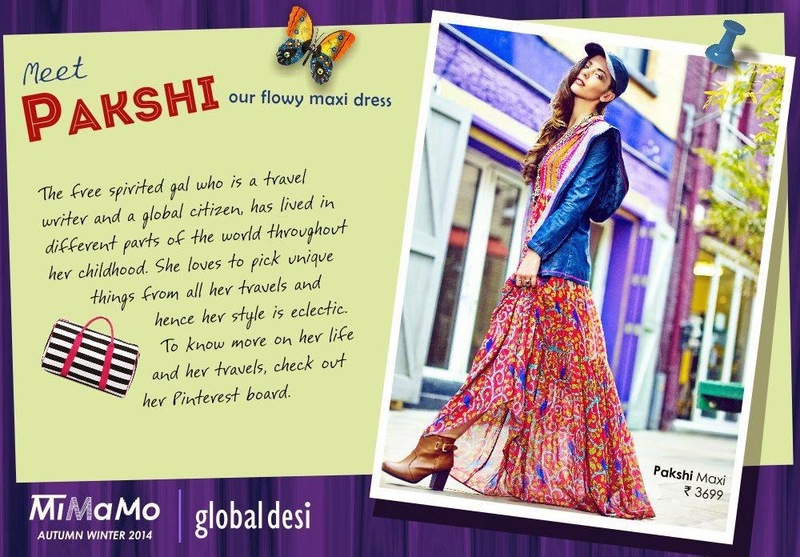 Every global desi piece is a story. I love how much thought they put in every collection. Remember last season, this collection was inspired by MELA and had motifs from the indian melas. 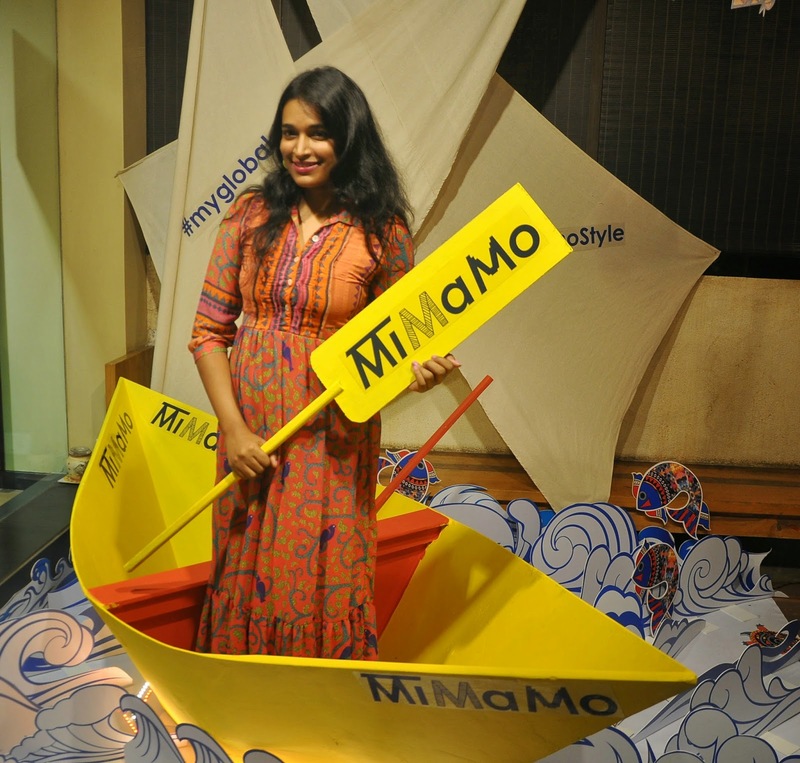 "Fashion meets timeless art as Global Desi celebrates the ancient art of Madhubani fused with kaleidoscopic elements of mosaic with the launch of its Autumn Winter 2014 collection – MiMaMo. Enhanced with symbolic images such as the lotus plant, moving fish, birds, turtle or sun gods that symbolise wellbeing, luck, prosperity and have been an intrinsic feature of Madhubani art- this boho-chic collection highlights the innate beauty of Indian heritage and the vibrancy of medieval art. 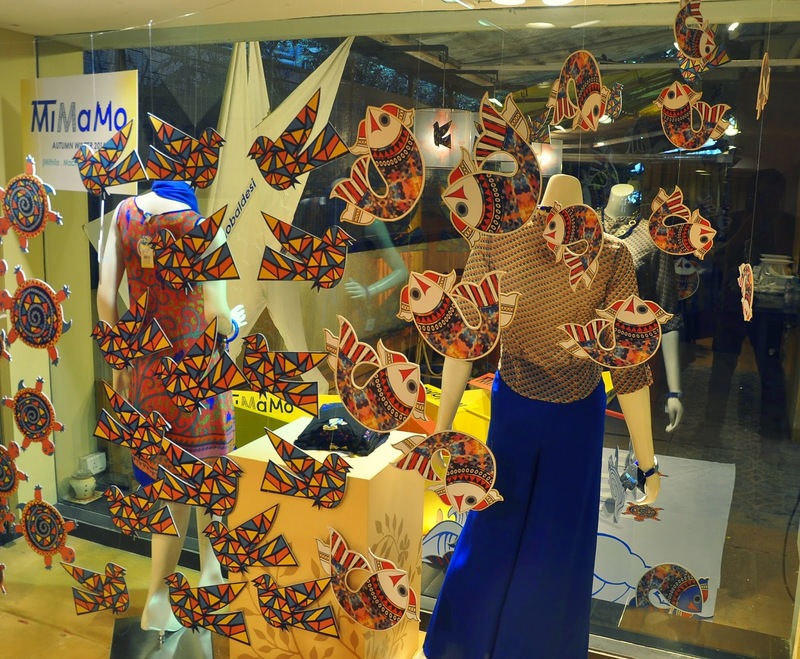 Mithila, Madhubani and Mosaic are the three main inspirations behind the MiMaMo collection making it a sartorial marriage of tradition and global fashion, a seamless mélange of contemporary styles with a unique Indian stamp." 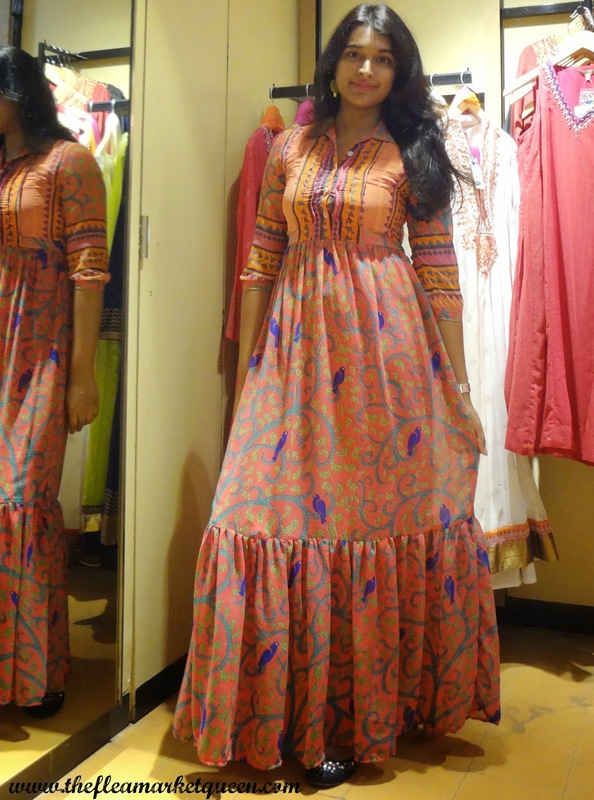 I totally fell for two maxi dresses- One with a mosaic pattern and other- PAKSHI DRESS with bird motifs on it,featured here. Check out their collection on their Facebook page or website! Wow! !I love Global Desi. Am loving a certain pair of their palazzos lately. Which size R u wearing XS?